Party At The Crop Circle!!! Beto O’Rourke ﻿is getting one of the strangest party invitations ever extended to a presidential candidate … courtesy of the mastermind behind the Beto 2020 crop circle. 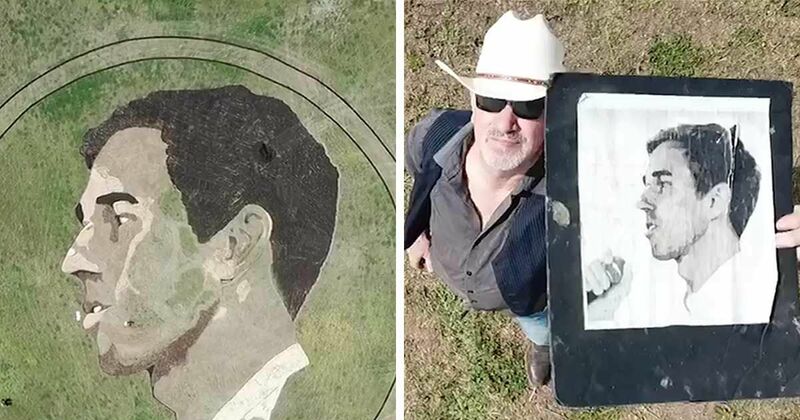 Stan Herd, the creator of the 2-acre political ad featuring Beto’s mug, is putting on a full-court press to convince Beto to take part in a huge gathering at the crop circle in Austin, Texas … and he wants Willie Nelson to be there as well!!! Stan’s party visions are pretty wild … he’s envisioning Beto in the middle of the crop circle, surrounded by 10,000 supporters hugging the installation’s exterior. Everything is bigger in Texas!!! Party plans aside … Stan tells us the crop circle took over 2 weeks and $12,000 to complete. It popped up a few miles from the Austin airport days after Beto announced his plans to run for Prez. No word yet if Beto will accept the party invite — but he’d certainly be a lot cooler if he did. John Daly Says Tiger Woods Will Break Jack Nicklaus’ Record, It’s Destiny!